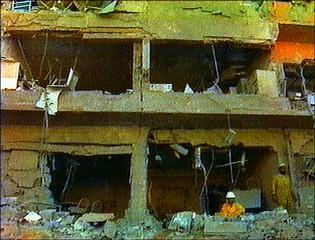 On November 13, 1995 in downtown Riyadh, Saudi Arabia on Telateen Street a car-bomb exploded. It was close to where the U.S. Army and the Vinnell Corporation were training the Saudi National Guard in monitoring and surveilling Saudi citizens. It happened before noon, a van containing 100 pounds of Semtex exploded killing 5 Americans and injuring 60 (34 of them Americans). The Saudi government tortured confessions out of four Arab Afghans, one (Muslih al-Shamrani)which had trained at Al-Qaeda's Farouk Camp. 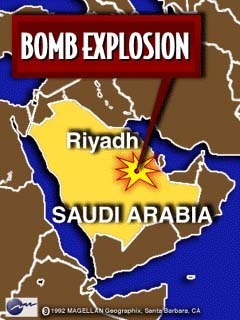 The event was described by Prince Turki as "binLaden's first terrorist blow". 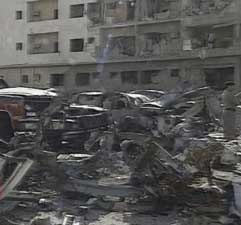 There was no exact connections with al-Qaeda and the car-bomb.